Oscar Winners Anthony Hopkins and Helen Mirren are spellbinding in this provocative story about the making of one of cinema's most iconic films. Plagued by both a reckless ego and nagging self-doubt, Hollywood legend Alfred Hitchcock (Hopkins) becomes obsessed with a grisly murder story that the studios won't back. Determined, he risks his reputation, his home and even the love of his wife Alma (Mirren), as he sets out to make the film. Ultimately, Hitch wins Alma over, and the two collaborate to create an enduring masterpiece - Psycho. Also starring Scarlett Johansson, Toni Collette and Jessica Biel, Hitchcock is "a knockout from start to finish" (Rex Reed, New York Observer). $287.715 thousand on 17 screens. For a look at one of the all-time greatest filmmakers, we head to 2012’s Hitchcock. The movie takes us to 1959 and finds Alfred Hitchcock (Anthony Hopkins) in need of a new project. 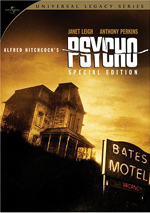 After a search for something that suits him, Hitchcock comes upon Psycho, a novel based on the exploits of serial killer Ed Gein. Although the suits at the studio discourage this undertaking, Hitchcock sets his mind on Psycho and works to bring it to the screen. As always, he works closely with wife Alma (Helen Mirren), though fissures in their relationship emerge along the way. 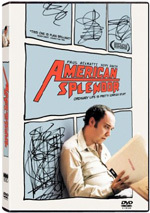 These create complications when Alma begins to collaborate with screenwriter Whitfield Cook (Danny Huston) and Hitchcock fears an affair might brew. Based on Stephen Rebello’s Alfred Hitchcock and the Making of Psycho, Hitchcock comes long on the former and light on the latter. 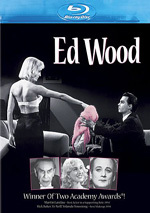 That could surprise viewers, as they figured the movie would remain truer to the book; Rebello’s text focused on aspects of Psycho and how it came to the screen, with little emphasis on Hitchcock beyond his involvement in the filmmaking realm. Instead, Hitchcock prefers to act as a psychological examination of the man and his life. It concentrates on his relationship with Alma and also delivers “dreams” in which Hitch finds himself visited by Ed Gein (Michael Wincott). While we do learn about the creation of Psycho, those moments seem somewhat superfluous. I understand the decision to create a character drama instead of a simple re-enactment of a movie production, but I think it doesn’t work – at least not as constituted here. Hitchcock would likely fare better if it spent most of its time with the Psycho elements, as those offer the most fun; it’s a delight to watch the recreation of the production and get a “you are there” feel for the shoot. When Hitchcock tries to dig into its subject’s psyche, it goes much less well. I don’t mind the movie’s many historical liberties all that much; while I admit some of these flights of fancy bug me a bit, I can accept them. Or at least I’d swallow them more easily if I found the end result to be more entertaining. Hitchcock tries desperately to create a portrait of the filmmaker’s inner personality but it fails. It just gives us a series of quirks and tics without much more than that. Whenever the movie attempts to create intrigue via the supposed Hitch/Alma/Cook triangle, it flops. Every time Cook appeared on screen, I let out an involuntary groan, as I knew the movie would drag for the length of his appearance. That’s not a criticism of Huston – he’s fine in the part – but the focus on his relationship with Alma is a total misfire. Hopkins doesn’t manage to bring much life to the lead role either. He does his best to channel the filmmaker’s well-known voice and mannerisms – and succeeds sporadically, as he can’t quite maintain the signature Hitchcock drawl. Hopkins doesn’t flop in the part, but he doesn’t convince. Mirren does better as Alma, even if she’s much too attractive for the role; Alma wasn’t a particularly pretty woman, and even the movie’s attempts to “dowdy up” Mirren can’t hide her basic beauty. Still, she adds some much needed depth to a thin, underwritten part. We find a roster of other “names” in supporting parts as well; all do fine, but they receive too little screen time to accomplish much. Hitchcock occasionally threatens to stir to life, almost always when it concentrates on aspects of filmmaking. When it veers into character drama, however, it becomes sluggish and turgid. It simply doesn’t have the insight to accomplish its goals. Hitchcock appears in an aspect ratio of approximately 2.40:1 on this Blu-Ray Disc. No notable concerns cropped up here. Overall definition seemed positive. Although some wide shots could be a bit soft, those instances remained modest. The majority of the flick was detailed and concise. Issues with jaggies and shimmering didn’t occur, and I saw no signs of edge haloes or artifacts. Print flaws also failed to appear here. In terms of colors, Hitchcock stayed with a subdued palette typical of a period film. It featured a light amber tone, though that didn’t overwhelm; the movie still came with some fairly rich hues when appropriate. Blacks appeared dark and dense, and we found smooth shadows. This became a satisfying presentation. As for the DTS-HD MA 5.1 soundtrack, it seemed low-key. That’s what I expected for a character drama like this, so the mix suited the story’s needs. Music showed good stereo involvement, and the soundscape delivered decent information. Most of the audio went with general ambience; though shots on the Psycho set or at the beach added some zest, the scope remained modest. Audio quality was fine. Music sounded peppy and full, while speech appeared crisp and distinctive. Effects didn’t have a lot to do, but they remained natural and accurate. This was a component soundtrack. The package’s extras launch with an audio commentary from director Sacha Gervasi and author Stephen Rebello. Both sit together for their running, screen-specific look at the source book and its adaptation for the screen, cast and performances, music and editing, sets and locations, period details, and a few other areas. Overall, we get a fairly good chat here. Rebello throws out additional notes about historical elements and Gervasi focuses on filmmaking components. Despite a bit too much happy talk, the track moves pretty well and covers the movie in a satisfying manner. One Deleted Scene goes for one minute, eight seconds. A 34-second intro from Gervasi sets up the clip, and we then see Hitch in fantasy therapy session with Ed Gein that explores the filmmaker’s relationship with his mother. It’s mildly interesting at best. Becoming the Master: From Hopkins to Hitchcock gives us a 12-minute, 28-second piece with Gervasi, prosthetics makeup department head Howard Berger, hair department head Martin Samuel, costume designer Julie Weiss, production designer Judy Becker, and actors Anthony Hopkins, James D’Arcy, Helen Mirren, Richard Portnow, and Kurtwood Smith. The featurette looks at Hopkins’ performance as well as all the components required to make him resemble Hitchcock. It offers a breezy and concise view of the subject. For the 29-minute, nine-second Obsessed with Hitchcock, we hear from Gervasi, Rebello, Hopkins, Mirren, D’Arcy, Portnow, Smith, Weiss, Becker, producers Alan Barnette, Tom Pollock, Tom Thayer, Ivan Reitman and Joe Medjuck, executive producers Richard Middleton and Ali Bell, director of photography Jeff Cronenweth, editor Pamela Martin, and actors Michael Wincott, Scarlett Johansson, Jessica Biel, Danny Huston, Toni Collette, and Michael Stuhlbarg. We get some notes about the production of Psycho and how it got adapted into Hitchcock, story and characters, cast and performances, costumes, cinematography and production design, editing, and some other areas. After the commentary, we get some repetition, but the program delivers a decent overview of the appropriate topics. Under Sacha Gervasi’s Behind the Scenes Cell Phone Footage, we locate a 13-minute, 31-second collection. This offers exactly what it implies: shots from the set that the director recorded on his smartphone. We find a nice collection of moments and even get to check out the enormous platform shoes Stuhlbarg wore for his character. Five short promotional featurettes follow. These include The Story (3:54), The Cast (4:25), Danny Elfman: Maestro (2:16), Hitch and Alma (3:15), and Remembering Hitchcock (4:44). Across these, we find comments from Gervasi, Hopkins, Mirren, Johansson, Biel, Collette, D’Arcy, Stuhlbarg, Smith, Portnow, Huston, Rebello, Psycho script supervisor Marshall Schlom, Trouble With Harry actor Jerry Mathers, Birds actor Veronica Cartwright, Psycho assistant director Hilton A. Green, and Vera Miles’ grandson Jordan Essoe. We get notes about characters and story, cast and performances, and the real-life Hitchcock. These clips exist as promotional efforts and feel that way. They’re not bad, but they’re not memorable – and occasionally repeat snippets seen elsewhere. Next comes a Hitchcock Cell Phone PSA. The 41-second clip ran in theaters to warn people to turn off their phones pre-film. It’s a fun bonus. The disc opens with an ad for Stoker, The Sessions and The Best Exotic Marigold Hotel. These show up under Sneak Peek with clips for Twixt, Life of Pi and Atlas Shrugged: Part 2. We also find the trailer for Hitchcock. A second disc offers a DVD copy of Hitchcock. Other than some “sneak peeks”, it lacks any extras. Though it had potential to offer an interesting glimpse behind the curtain, instead Hitchcock usually provided a thin character drama. It offers no real insights into its leads and seems like a misguided effort. The Blu-ray brings us solid picture, audio and bonus materials. While this is a good disc, the movie itself becomes a misfire.